Recently I have been playing more games on the pc than on consoles, as there are more of the games that I enjoy playing which are the exploration games, but I do prefer to use a gamepad controller instead of the keyboard / mouse even though the mouse & keyboard combo is better for these type of first person games, it is more for comfort, so can be a bit further back from the monitor and relax more in the chair. I did look at ones just for the pc, but thought would go for an adaptor to use my wireless Xbox 360 controllers. You can get the official Microsoft USB wireless gaming adaptor, but I thought I would go for one of the non-branded ones that you can get of eBay or Amazon for just over the £5 mark. In Device manager you should see Unknown Device listed, right click the unknown device then properties on the Driver tab, click Update driver, then Browse my computer, then select Let me pick from a list of device drivers on my computer Double click All devices Search for Microsoft in the left pane and select it. 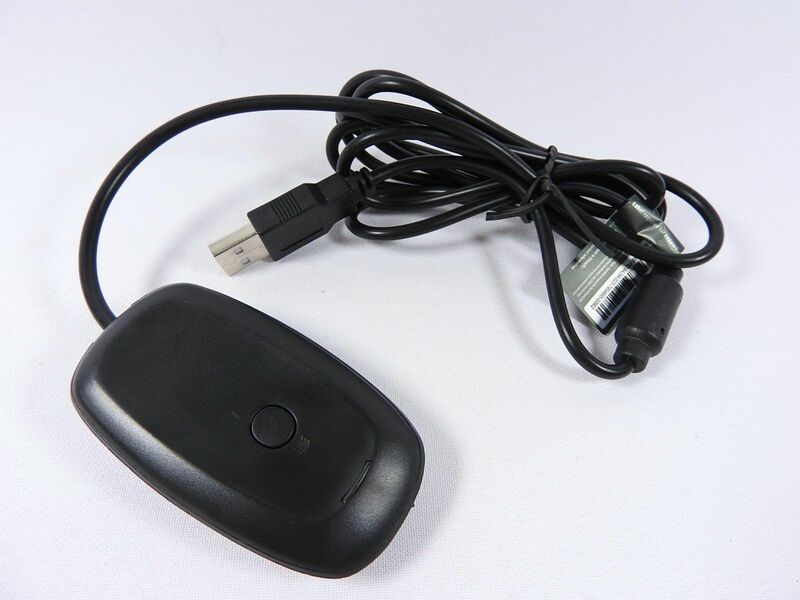 Search for Xbox 360 Wireless Receiver for Windows Choose Next and then in device manager instead of unknown device the Xbox 360 recover should be listed. This should be the only time you need to do this, but if you put the device into a different USB port you will have to go through this process again. 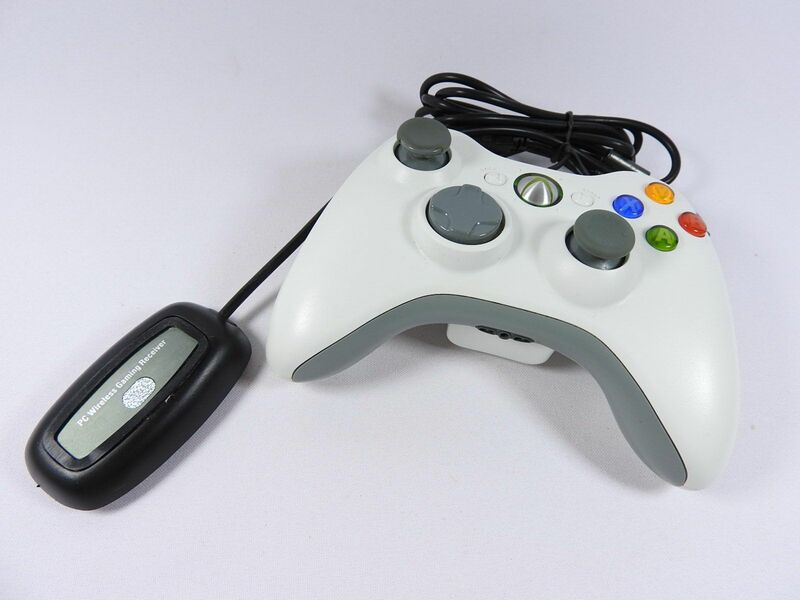 To sync your 360 controller with the adapter is very simple, just press the button on the receiver then the sync button on the 360 controller and that’s it. You shouldn’t need to re-sync again. To test to see if your device is working, go to Control Panel then Devices & Printers under devices you should see listed Xbox 360 Wireless Controller then right click on this then select Game Controller Settings then click Properties from this screen you can test the movement of the analog / Digital sticks aswell as all the buttons, if not responding correctly you can calibrate the controller from here. As most windows games have direct support for official wired game controllers, when in a game the proper buttons are shown on screen, if no direct support for controllers in the game you will be player there normally within the game settings is a way to configure joypads. The device does support fort upto four controllers. I was able to use the two pads that we have got with no problems after initial sync. So actually got the missus who doesn’t play game to have a go at Lego Jurassic World in co-op mode, and worked great. On a side note If you have PS3 Controllers these can be connected to your pc wired using motionjoy & betterDS3 drivers but can be hard to get working and to use wireless you have to have a compatible Bluetooth adaptor, and then when configured your Bluetooth will only be able to be used with the PS3 controller, so if want to use with phones, headphone etc you would have to uninstall the drivers, so this can be a bit of a hassle. So far this little adaptor is great value and if you have spare 360 controllers and looking for a controller for your pc, don’t bother with cheap gamepads, use this instead as cheaper than a USB wireless gamepad and better quality.